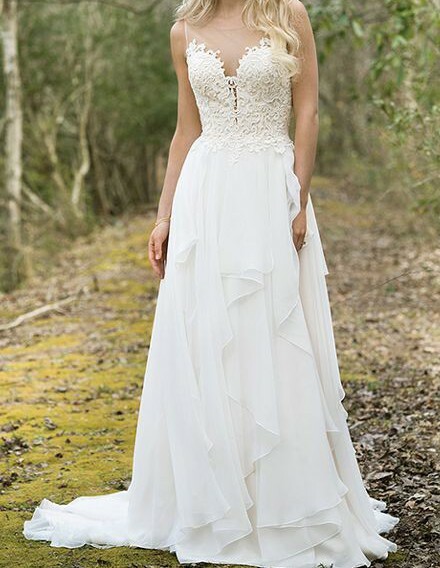 Ivory color Wedding Dress! Worn once in July, 2018 ;) Bought brand new for $2,150. It has been professionally cleaned. 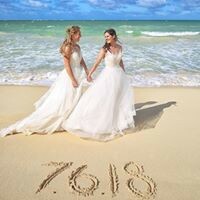 The dress was used for a sandy, beach wedding. This dress is perfect for beach wedding or outdoor weddings. The different lengths of layers make it flow outdoors so nicely. It has a little train and three different bustles (right, center, left). I am 5ft, 10in and I had two inches removed from the bottom; however, it is still about two inches longer in height than I am. Once you send a message, Kourtney can invite you to purchase the dress.